"DetainEMR Designed by Doctors and Nurses who have worked in the correctional environment for decades." "Our software eliminates the need to manage inmate healthcare encounters on paper charts and provides an electronic records of the inmate that is updated with each incarceration." 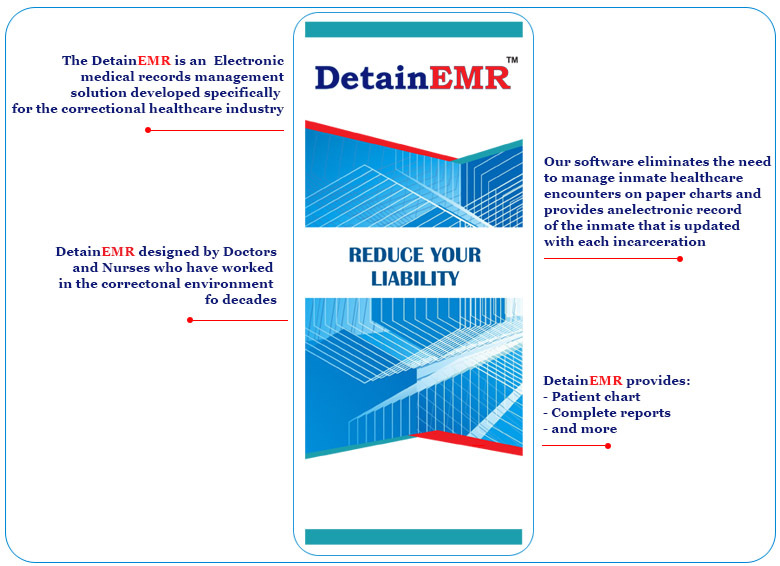 "DetainEMR web interface provides an extensible platform on which patient records, medication administration, task-lists and other scenarios and features are built. " "AIMM operates a 24 hour/7 day-a-week telephone, email & remote support service that is staffed to handle any issue or question for the EMR system that we have developed and support. "